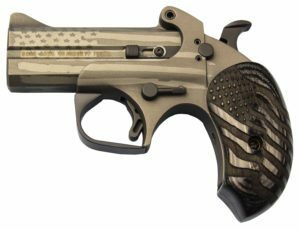 The “Old Glory” features a 3.5″ barrel chambered in .45LC/.410. The extended black ash grips are custom engraved with the American Flag. Get The Special TV Offer Now Click Here. To find a firearm dealer near you CLICK HERE.